For many couples, April is the ideal time for a wedding. Because the weather is nicely warm and nature starts to rejuvenate in April. Furthermore, this lovely month offers the couples the opportunity of both indoor and outdoor weddings. So, what are the options for venue selection, decoration and concept in spring weddings which are advantageous in every aspect? Here are some venue, decoration and concept suggestions for weddings in April! Countryside wedding is another thing! The first place to recommend for a spring wedding is of course a countryside wedding venue decorated with flowers. Couples who wish to enjoy an outdoor wedding within nature can prefer countryside concept for their wedding in April and choose a place accordingly. A casual bridal gown/groom’s suit, long tables adorned with flowers and smiling guests... This scene will offer you the wedding that you dream about. The only thing to be careful about countryside weddings is to be sure that the venue has a plan B for the possibility of rain. Remember that April might be full of surprises! Although everybody dreams about a countryside wedding in spring, there are certain risks to take into account like we mentioned above. If you are worried that your wedding might be spoiled because of a sudden rain, you can opt for a risk-free hotel wedding. Hotel weddings provide various advantages as many details will be dealt on behalf of you. Besides, no weather condition can spoil your wedding! The only thing for you to do will be enjoying your big day! If you want to have your wedding both in the open air and also indoors in case the weather gets cold and it rains, you can choose a venue where you can have them both. A restaurant with a terrace or a garden will do just fine! In such a ceremony after which you will eat and have fun with your loved ones, you can both spend time with your guests in the garden and have pleasant conversations while eating at the indoor restaurant at the end of the day. The Judas tree heralding the coming of spring! Now let’s make some decoration and concept suggestions. 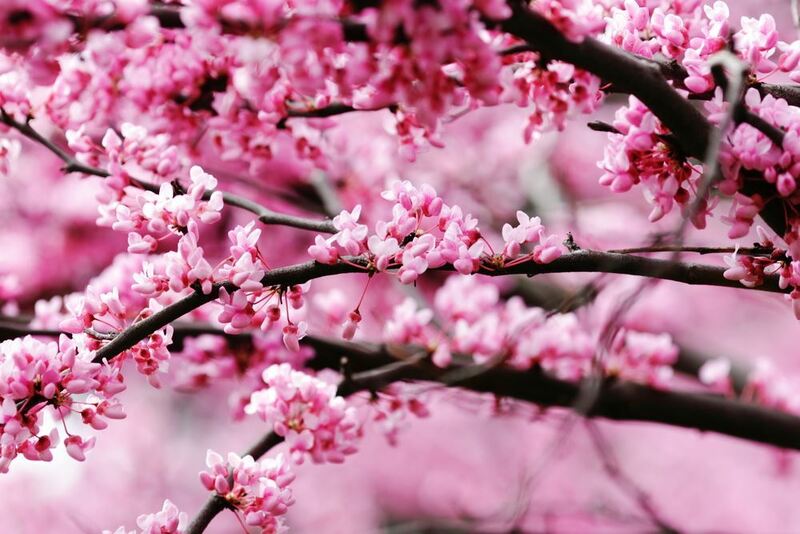 You can use flowers of Judas tree, the rare plant of Istanbul, in decoration details for both indoor and outdoor weddings. 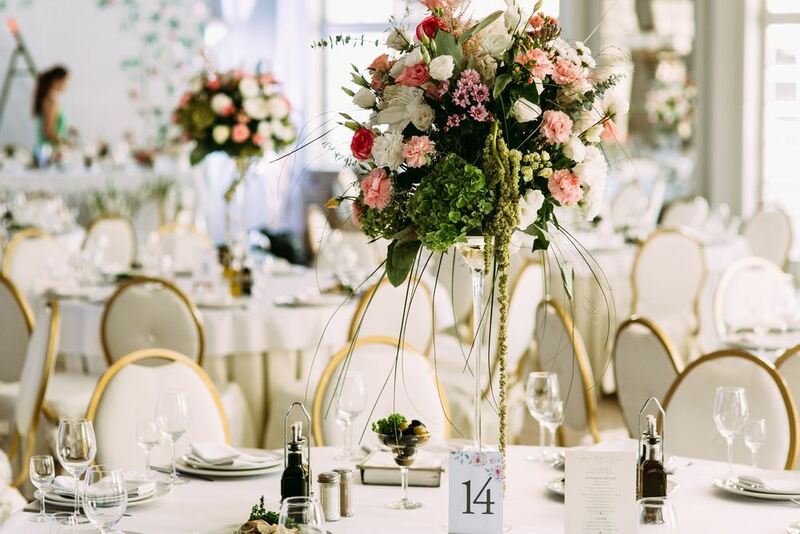 If you want to color up your wedding, you can make use of spring flowers almost everywhere from table decorations and your bridal bouquet to even your hairdo and accessories. 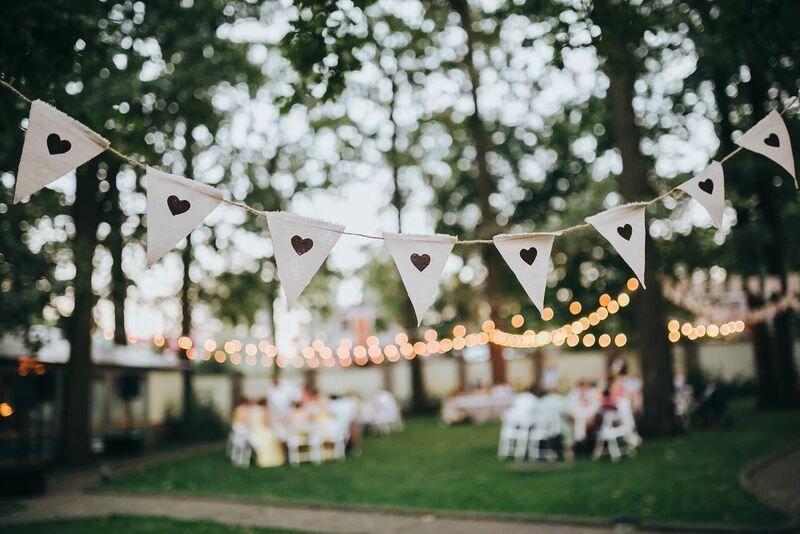 The energy of spring will add a whole different atmosphere to your wedding. A luxurious, elegant and stylish wedding! This season, another option rises to prominence in wedding venues and concepts. If you want to have a luxurious, elegant and stylish wedding, you can prefer clubs and banquet areas. 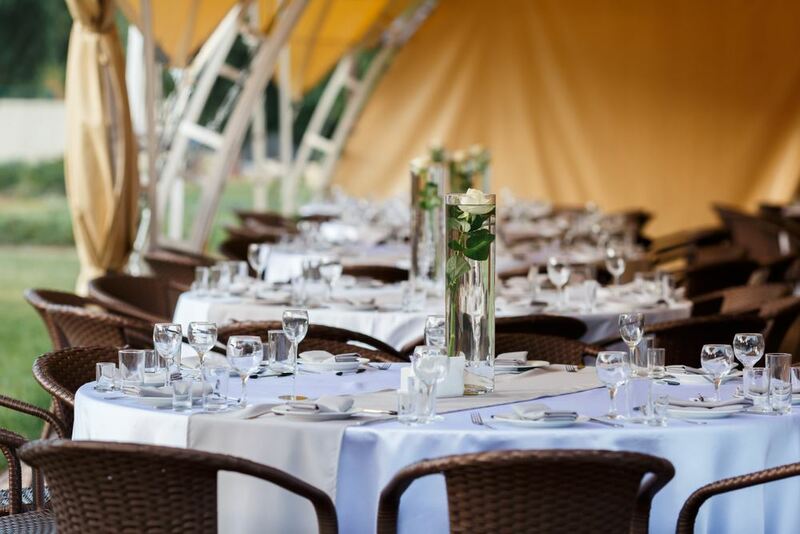 As such venues are very spacious, they can be extremely ideal for crowded weddings. They also offer a fabulous view as they are generally located in the best corners of the city. Bohemian details for free spirited couples! Free spirited couples who like living the moment can prefer the bohemian concept which is very popular at weddings lately. Pale tones of yellow and colors of peach, powder and lavender can be used in the decoration of bohemian weddings. White wooden chairs, old postcards, stamps, small vases filled with dried flowers and tiny scented candles are other details that can be used in such weddings. 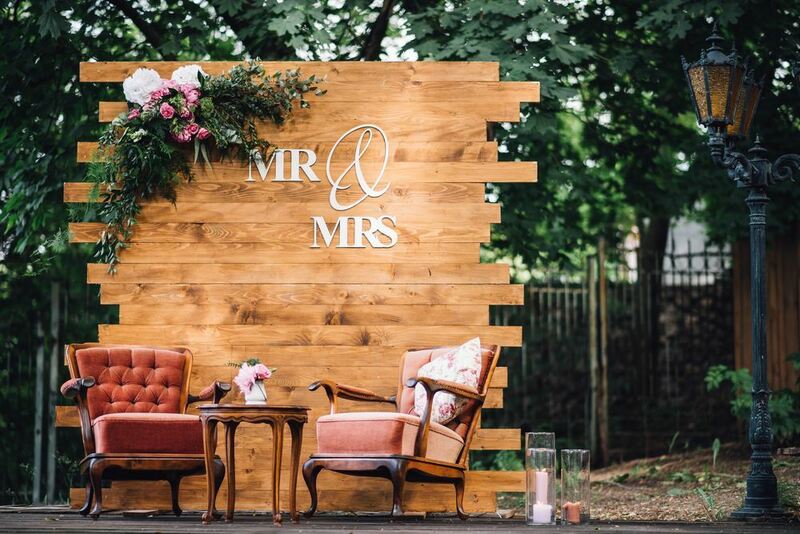 Moreover, this concept is perfect for spring weddings which are generally held outdoors! A fun, yet elegant alternative! Another popular wedding theme is poolside weddings. If you are one of those couples planning to get married in spring, you can prefer venues where you can have a poolside wedding. This way you can both have a blast and make use of decoration alternatives full of glamorous details at your wedding. Speaking of such weddings, Elite World Europe Hotel and Elite World Asia Hotel, which are perfect for outdoor wedding concepts, will transform your most special day into an unforgettable memory with the help of their experienced and upbeat staff. 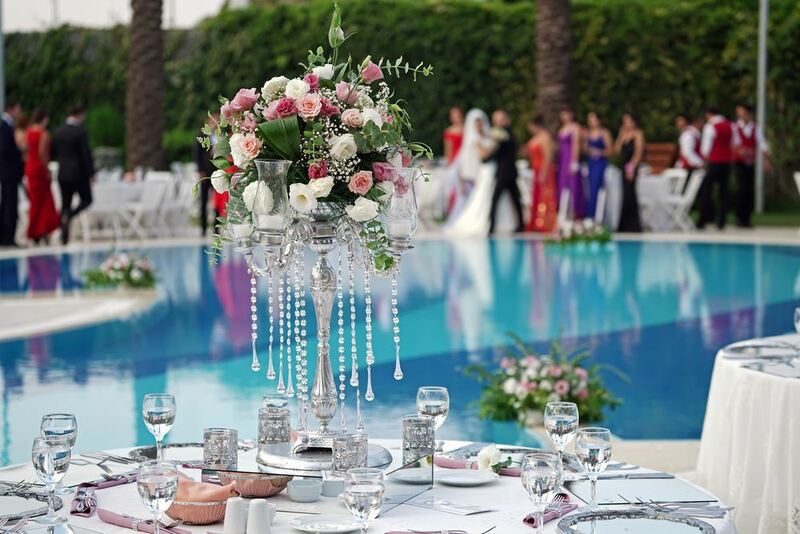 If you are looking for a poolside wedding venue for your most memorable day, we recommend you to have a look at the wedding concepts offered by Elite World Europe Hotel on Basın Express and Elite World Asia Hotel in Küçükyalı, with a view of the sea and the Princes’ islands.